Looking at many of the new rifle scopes being offered, the trend seems to go to higher magnifications and higher power ranges. The increase in power ranges definitely provides more flexibility but also comes at a price. No, not just the amount pulled out of your wallet but also other impacts you have to deal with. It seems more often than not that when you go on a hunt you’ll get some grief if you’re “only” having a 3-9x scope on your rifle. A few years ago that was the best you could get but today it seems that your fellow hunters often think that they have to max out on the magnification. Do they really? Does it make sense to have a variable scope up to a 25x magnification when most of your shots are under 250 yards? High magnification levels can unfortunately become a handicap when shooting. Let’s have a look at the different downsides to a magnification level that’s too high. First of all you’ll find out that a scope with a high magnification level typically is larger in size and weighs more than your average scope. You’ll have to make sure that the scope mounts comfortably on your rifle and you have to be aware that you’ll be dragging more weight with you. This can become a factor when you cover more distance during your hunts as it can wear you down quicker. A high magnification theoretically allows you to view items that are farther away. You need a lot of light to begin with to see anything that’s a long distance away from you. However, that’s not the only reason that impacts the brightness of the target images. The exit pupil diameter on high power is reduced and when you have a dimmer environment the image you see through the scope won’t be quite a bright as you’d hope for. The larger the magnification, the smaller the field of view gets. If you try to search for a buck through your scope with a high power level then there’s a good chance that you’ll never find it. You simply can’t see enough to find and identify anything that’s far away. The only way around that is to have an additional spotting scope that allows you to find the target through it’s much larger field of view. Then you can zoom in onto the target through the scope hoping that your target hasn’t moved away. You’re usually never able to completely hold still. When you look through your scope at a 2 or 3x level, you won’t see much dancing or quivering of the reticle. If you bump it up to 9x or 10x you’ll see some significant movement of the reticle. At 20x or even higher you’re lucky to keep your sight somewhere in the vicinity of your target. At that time, you’ll try harder to keep the rifle steady which usually only causes more reticle dancing as your muscles get tired and your concentration levels fade. You need a bipod for your rifle to keep it somewhat steady which in turn leads to other issues like slower target acquisition. You usually don’t have endless time to acquire your game when you’re out on a hunt. The deer have a tendency to not simply stay in place waiting for a hunter to shoot them. Speed in target acquisition is essential. The combination of a reduced field of view, dancing reticles and lower brightness will result in you needing more time to acquire the target. By the time you finally have the crosshairs at the right place your target will have moved. This whole exercise will wear you out mentally and physically and eventually you’ll end up with no shot or a bad shot causing the animal unnecessary suffering. The magnification you need will depend on what game you hunt at what distances and in what light conditions. Last but not least you also have to consider the terrain. 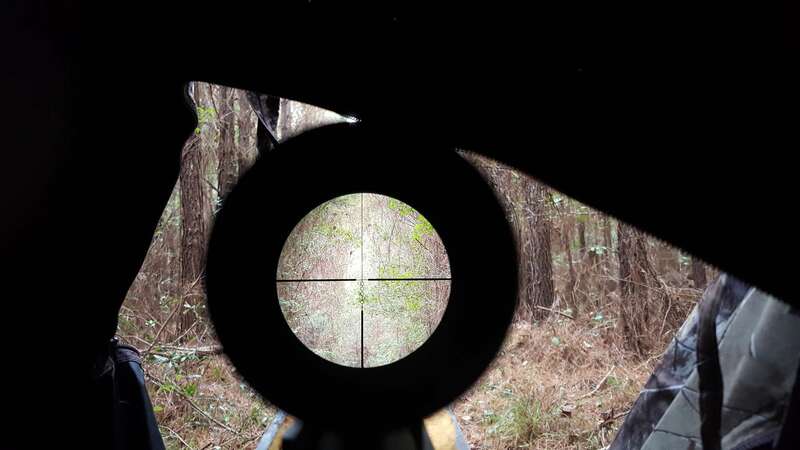 If you’re in a forest you won’t have the luxury of shooting 500 yards across an open field. Your distance for a shot will be limited by your environments and as such your magnification requirements will depend on all these factors. If you try to shoot rabbits at 200 yards then you won’t have much luck with a 3x magnification. Hunting an elk at that distance with that magnification should work pretty well though. It’ll also be different if you’re into long distance shooting competitions. You’re in a somewhat stable environment with a non-moving target. Time to acquisition is not really an issue and you usually have your rifle stabilized. A high magnification can and will work very well for that. The higher the magnification you use, the harder it becomes to make a realistic shot. Cheap scopes that have high magnification levels will also not have the quality of the lens to provide enough light to make a good shot. A lower-end scope will typically also not have a tube and objective lens that’s high in diameter. At that moment your windage and elevation settings might not be adjustable to the point that you can use the high magnification on a long distance. Your scope simply can’t compensate for the bullet drop or for winds. 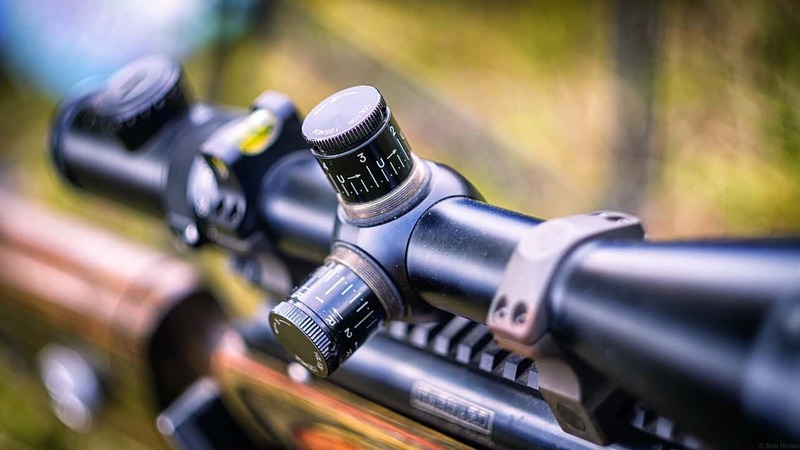 For most hunting and shooting situations you’ll be better off to get a high-quality 3-9x or 3-12x scope with top-of-the-line glass and a larger tube than getting a cheaper scope with higher magnification but lesser quality. For versatility you might go for a scope with 3-15x or even 3-18x. Just make sure to remember that magnification is not always in your favor!